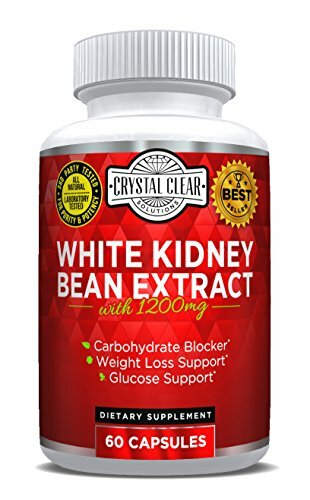 -Crystal Clear Solutions is proud to offer you our premium Pure White Kidney Bean Extract supplements. This natural supplement is ideal for intercepting starches, to prevent them from being broken down, and from turning into fat and sugar. So now you don't need to eat less and yet you can still loose weight. White Kidney Bean, has also been shown to aid in lowering the glycemic index of high-carb foods because it blocks the carbohydrate from being broken down into sugar. If you have any questions about this product by Crystal Clear Solutions , contact us by completing and submitting the form below. If you are looking for a specif part number, please include it with your message. Vitamiss Block –Dual Action Fat & Carbohydrate Intercept Weight Loss Supplement Designed for Women! Block Your Fat and Carb Absorption while Suppressing Your Appetite!